They are really pumping content out like crazy aren't they? Incredibly early that I think caught everyone by surprise. This is probably the most impacting batch release to date for Global (not really much of a surprise) So let's see what they bring. Well it means, that Global is actually trying to catch up to JPN as well as opening up many MANY teams for Mihawk Dungeon now... In fact, a well built Vista team or STR team may well clear 30 fairly easily compared to before. And of course - Whitebeard's Addition means there will be tons of "rerolling" as well as another team that can clear 40-Stamina Mihawk. 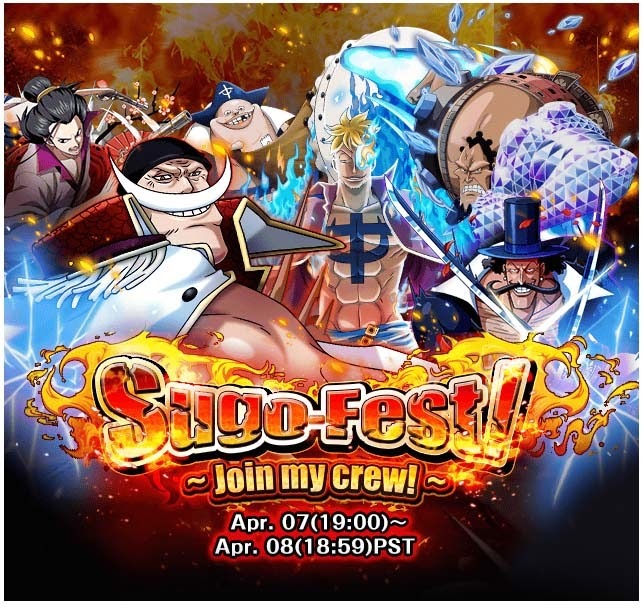 More details after the Sugofest. 5-Star (24-HOURS ONLY) - Only Pull-able during the 24-Hours. 4-Star Units - Pull-able after Sugofest but their rates are doubled. 3-Star Units - Pull-able after Sugofest but their rates are doubled. 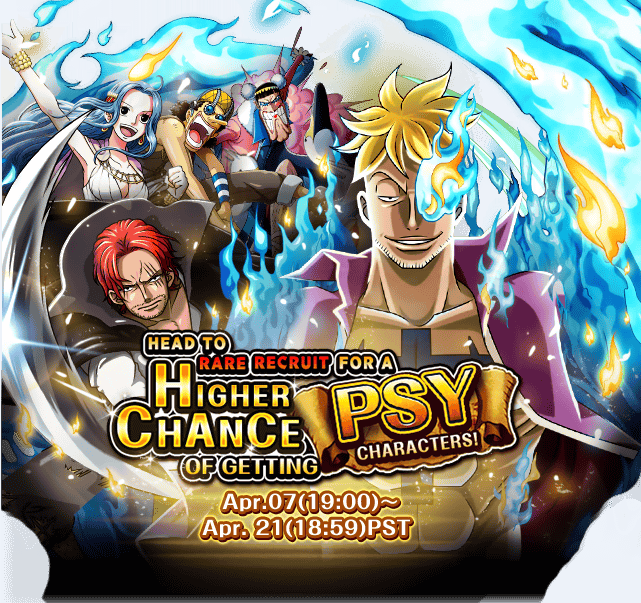 Any PSY Units pulled will be pulled at level 20 - due to PSY Rate-Up!! Question: Only Whitebeard is 24 hour exclusive ? Yes. And marco, jozu , etc. are available forever from now on !